Why am I Living in Calabria? Many of our followers on Facebook have shared superb photos and fascinating tales with us over the years. This one though, shared by Tammy from Canada, is one of the most compelling of them all. The story of a single mom conquering her fears and making her dreams of living in Calabria come true. I'll let Tammy share her story in a moment but I just wanted to add that I've often visited Calabria and I remember a particular visit a while back. 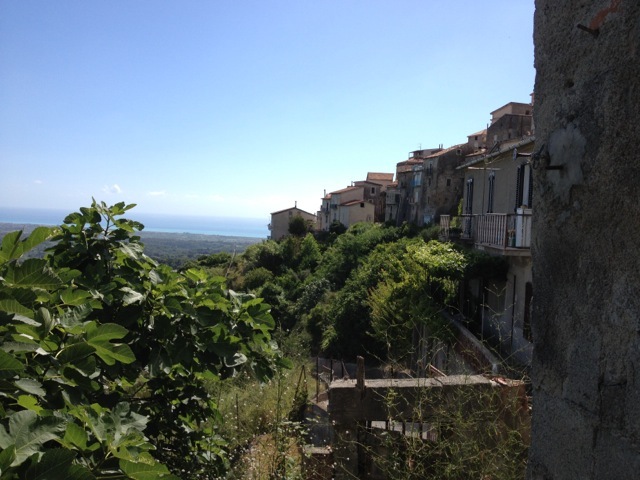 We stayed at the amazing Villa Paola near Tropea and I can tell you I too fell in love with this ancient land. A land where time seems to stand still and the Italy of yesteryear is still going strong. Particularly inland you'll discover villages undiscovered by tourism, where locals greet you with a warmth and friendliness that few other parts of this world can match. 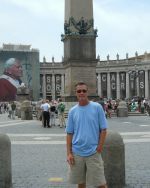 I started travelling to Italy, Venice in particular in 2007- and would make short trips over 3-4 times per year, finding my own way- leaving family behind to refresh and restore my soul. It did not take long before I knew that I belonged in Italy.. and very quickly, I made a plethora of friends in Venice and beyond. I set my 7 year plan into motion.. that being to establish a comfort level with the Italian culture during many visits- until my youngest son was finished secondary school in Canada and I could finally follow my dream/heart and head and relocate my life to Italy. To fast forward a few years and past much drama, life takes its twists and turns and as I sat with a little more than a year to go before my son would finish his secondary school, I was faced with a decision - to step forward in the dream or to let it sit and focus on a less curious life in Canada. I chose to step forward in the dream. 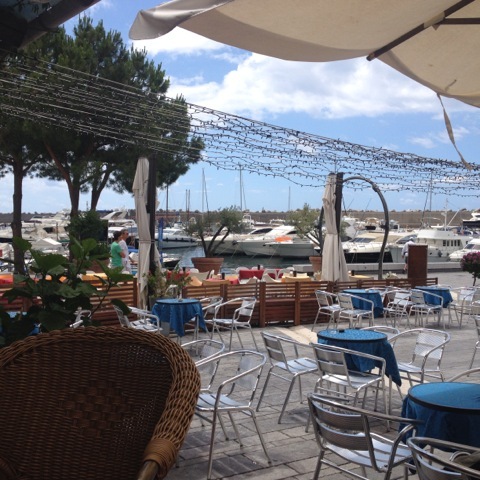 I was not sold that I belonged in Northern Italy, although my dearest friends in the world are based there. I was not convinced that I was living for me.. so I started an online search for locations that were practical (financially, geographically, climate and lifestyle) as well as a place that I could potentially be drawn to by my heart, feeling as if I belonged and could flourish. I had long looked at a restoration project in Abruzzo, and when I looked at it further, I realized that for many personal reasons, it was not a good match for me. So I looked further south. 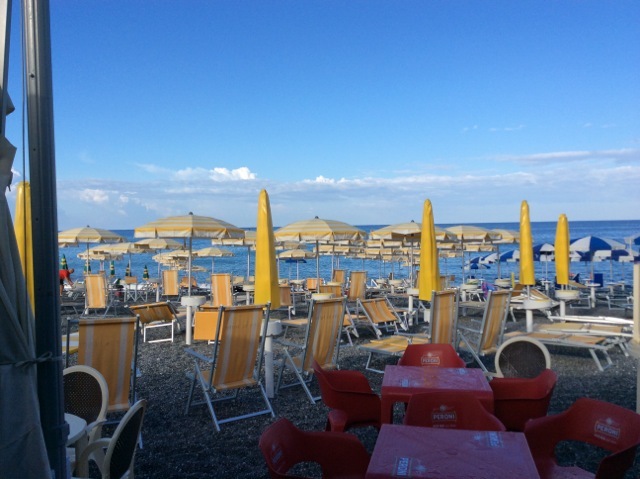 As many know, the further south in Italy that you go, the less North Americanized it is, the less expensive it is in all ways, and the more authentic, rustic and natural it is. What this equates to is a pure beauty.. both in people and geography- provided you are able to see past the quirks of authentic Italy and recognize the hidden beauty. During my online search, in Dec 2013, I happened across a listing for a property that hit my heart like a thud. It was reminiscent of the style a house that I had seen in the north many years ago... and actually have seen in many locations across Europe since. You see, it is not overly special, it is a narrow curved road with the house sitting right on the edge of it, and amazing sea and mountain views. It pulled at me and after a few days of continual pulling, I contacted the real estate company. I was not expecting a response, as I had made other enquiries over the years to Italian real estate companies with no response. But I got a response, a very friendly and welcoming response. So began 8 months of chatter about the area and the process for buying/restoring a property. 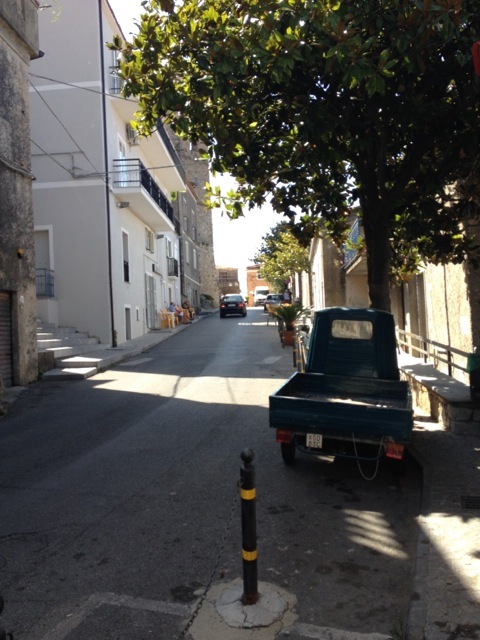 I arrived on July 1, 2014 - for the first time, in Lamezia Terme International Airport with my 8 lb dog and a dream of this house I had seen online, along with the comfort of an understanding and kind real estate agent to assist me sort through this one property as well as viewing others in many of the neighbouring small towns- a virtual buffet of choice!. 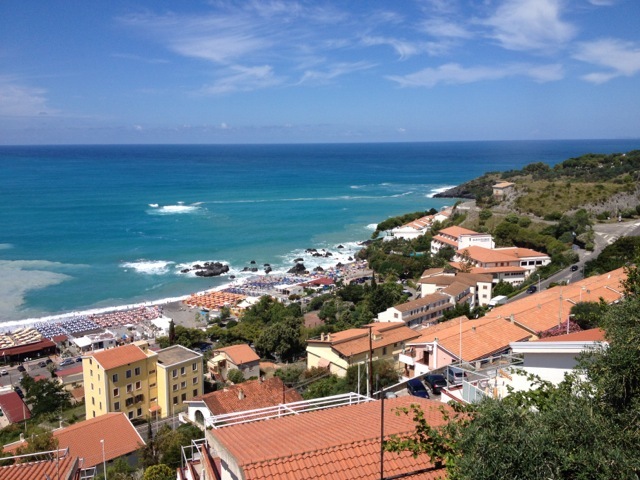 I have to admit, I thought I was out of my mind as I stepped off the plane for my 5 weeks in Calabria. I had to wonder, "What on earth am I, a 45 yr old single, retired mom going to do here. How can I possibly manage this transition on my own." I had researched online for months the area, and was 'internet in love' with it. Happily, it did not disappoint- rather it caused my heart to soar within 36 hours of arriving and did not change - nor has it now that I am back in Canada for a few months. The almost 2 hour drive north to the resort town of Scalea was breathtaking, even after almost 30 hours of travel from my home in Canada. My driver was a traditional Calabrese man, with no English. I was a tired Canadian with little to no functional oral skills in Italian. But after some giggles, we found a way to communicate and he was a tour guide for the drive. It was fantastic. As I discovered during my 5 weeks there, most Italians that I encountered were warm, welcoming and helpful- curious and attentive in all ways, even when language was an issue, each and every one of them made time for me and assisted in working through a conversation with me. I felt welcomed and not for one moment alone in my journey. The town of Scalea is a resort town, on the Tyrrenian Sea. 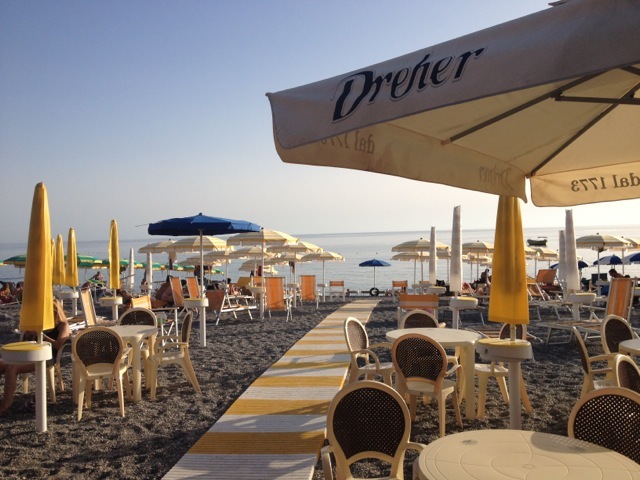 It is a holiday location for many families from Naples, not for North American tourists. It is busy and varied, gritty and lovely all at once. The sea is stunning, the lidos are unending. The beach varies from sand to black rock lava. 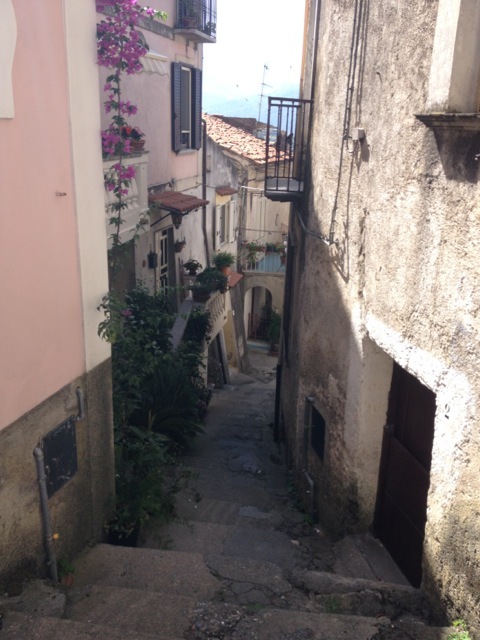 Centro Storico is romantic and authentic.. small and a labyrinth of staircases and alleyways. It is perfect. With a climate of dry warmth - over 9 months of the year over 75 degrees, who could wish for more? 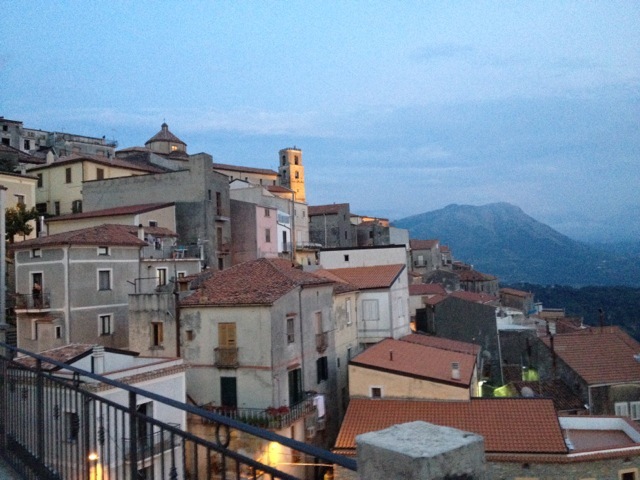 I stayed in Scalea for the 5 weeks, in a tourist village- it was an interesting place to be, and at times not that comfortable. However in hindsight, I think I would not have stayed anywhere else. 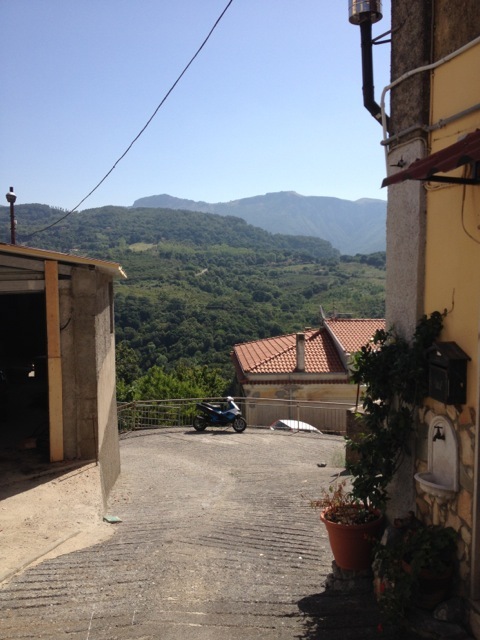 I was lucky in that I settled on the property to purchase rather quickly- it was the original one that I had fallen in love with and that had drawn me to southern Italy in the first place. It is located in Santa Domenica Talao, which is 5 miles inland from Scalea and about 1200 ft above sea level. Most of the town has sea and mountain views. It is a traditional town from the mid 1600's, where the men still sit in the piazza to play cards all day and the women are cooking or taking their walks together. It is peaceful and true to history and Italian culture. There is a moderate number of youth and I believe the town has about 1700 people residing there. P.S. Tammy has just shared an update on her story - you'll find that here. 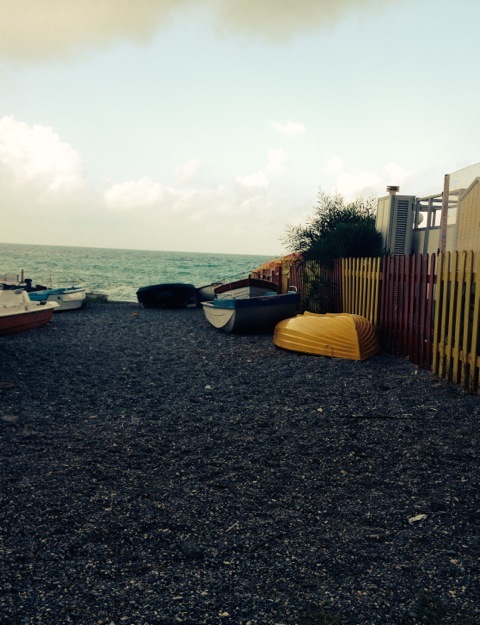 For Tammy's latest update on her life in Calabria click here. Want more of Calabria? Visit this gallery.